The Honorary Members are people committed to the protection of persons with disabilities, working for other associations, institutions or other entities. Membership is voluntary, without any constraint that can be an obstacle to their activities. 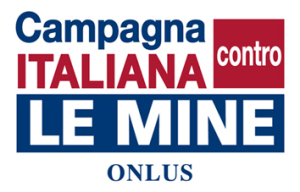 Giuseppe Schiavello (Sociologist): Director of the Italian Campaign to Ban Landmines – non-profit organization since 2006, previously in charge of external relations and fund raising for the same association from 2000 to 2005. It represents the association in the International Campaign to Ban landmines ( Nobel Peace prize 1997) global network of 1,000 association (ICBL) and the Cluster Munition Coalition at. Managing relations with the Parliament, takes part for the association within the National Committee for Humanitarian Action Against Mines in the Ministry of Foreign Affairs (CNAUMA) chaired by the Secretary with responsibility for disarmament and human rights; Consultant for Corporate Social Responsibility, promotes territorial development with particular attention to the inclusion of socially disadvantaged groups. He has worked as a lecturer in the Master’s Degree “Peace Keeping and Security Studies” of Rome III and the University La Sapienza, as a lecturer at the Master of Public and Institutional Communication and is author of several articles with focus disarmament and international humanitarian conventions. Paolo Genovesi – Professional photographer for over twenty years, has captured some of the major national and international sporting events.